24" x 36". Original print, signed by the artist. 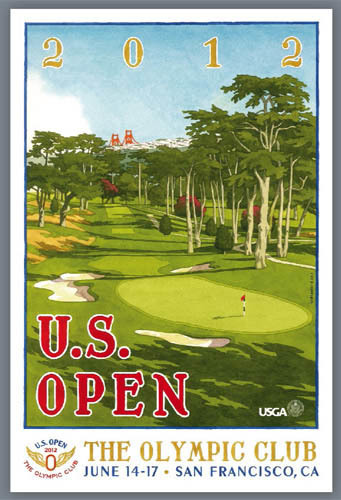 Lee Wybranski's classic poster for the 2012 U.S. Open at The Olympic Club in San Francisco depicts the newly remodeled 8th Hole, the dramatic trees and landscape, and the Golden Gate Bridge in the distance.